Beautiful custom built home recently built. 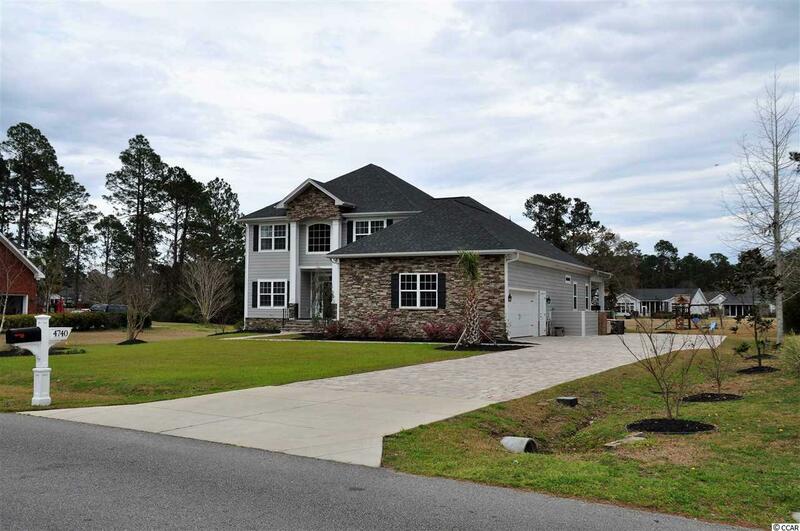 Large .68 acre overlooking the 16th tee box on the Myrtle Beach National golf course. Lots of extras with this house. 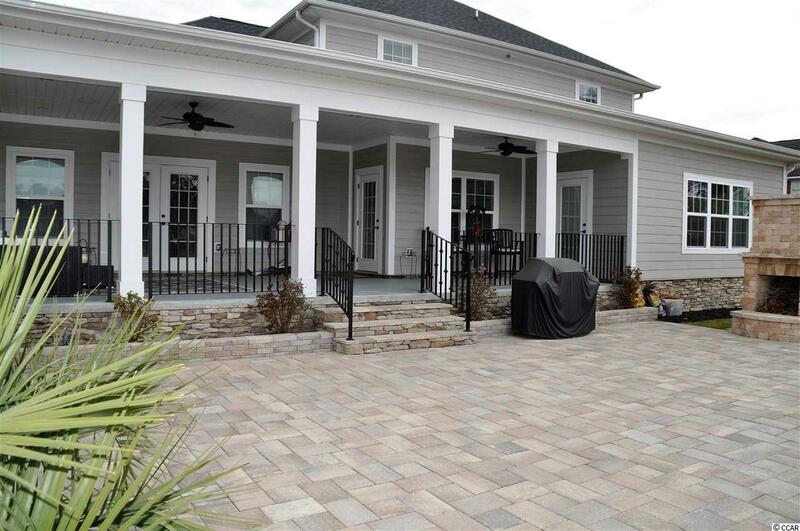 Over 2000 sq feet of pavered driveway, stone accents all the way around the house. Huge covered porch overlooking the course. Large pavered outdoor sitting area and fireplace. Oversized master suite offers huge walk-in closet, his and hers sinks, granite tops, vanity area, private toilet stall, custom tiled walk-in shower. Amazing custom eat-in kitchen that you will love. 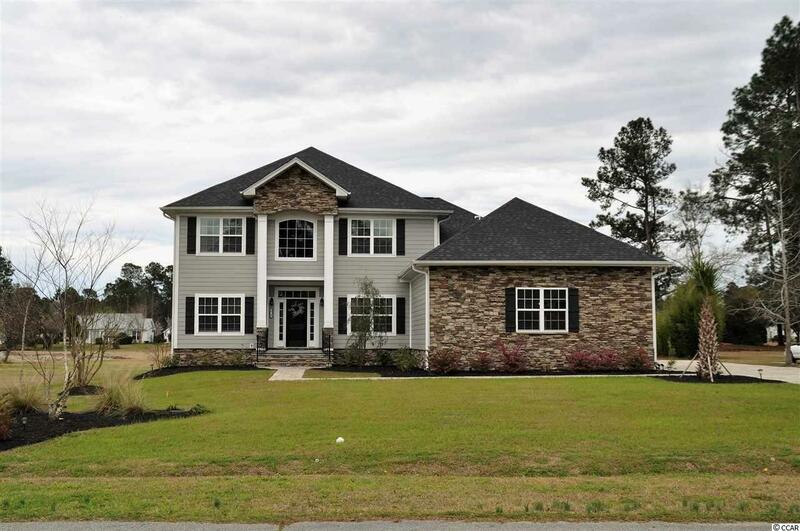 Open to the living room, large island with beautiful granite and custom cabinets. 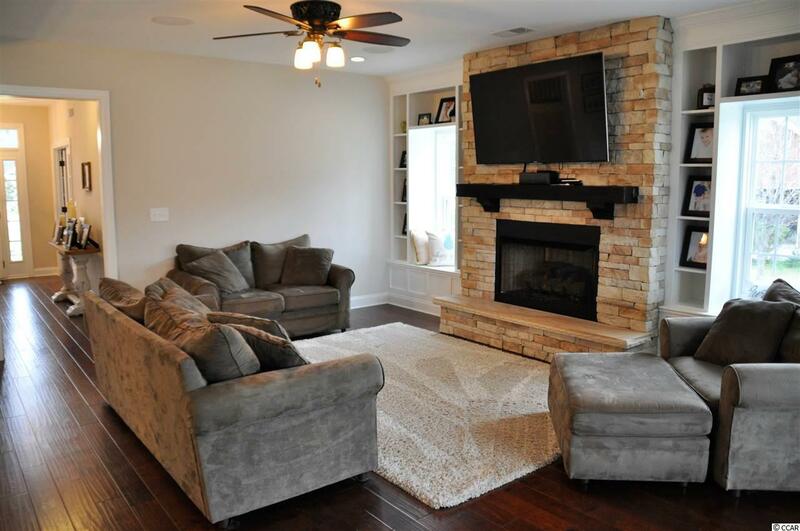 Living room has a nice stone accent, gas log fireplace. Large open area with a sun room attached to expand the living room size, if needed. Hardwood floors throughout, carpet in the bedrooms, and tile in the wet areas. There is a half bath downstairs between the den/office and the living room for your guests. Nice bar area by the kitchen. This home truly shows like a model. Additional bedrooms upstairs with Jack and Jill- full bath rooms between them. Bonus room upstairs can be used as a bedroom or bonus tv room. They have even used the storage space under the staircase for a kids cove play area. Put this house on your list of homes to see. Great neighborhood, centrally located to everything. Walking distance to Carolina Forest High School, and minutes to retail shopping stores, grocery stores, parks, Colleges and hospital.